Shane has been actively involved in the real estate industry since 1999. Shane, a co-owner and Director of Harcourts Morphett Vale and Harcourts Christies Beach, graduated from a Diploma of Property and credits a land agent registration to his name as well as memberships with the Real Estate Institute of SA, the Society of Auctioneers and Appraisers and the SA Jockey Club. Achieving local success has come naturally to Shane whose majority of business is provided by repeat and referral clientele. Shane prides his business on an active involvement within his local community and providing an exceptionally high level of service to achieve the best possible results for his loyal clients. Born in Loxton in the Riverland, as a third generation local, I left school and joined the Police Academy at the ripe old age of 16. Commencing real estate in 1990, after 12 years in the police force and having bought and sold a couple of houses during that time, 29 years of age seemed the perfect time to start a new career in an area that I had been passionate about for ages. During my time in real estate I have received many awards and have been involved in most aspects of the business from office ownership, sales coaching, the training of new recruits and property management. I’ve had a variety of roles during my 25 plus years in real estate. Activities as diverse as developing a real estate company specifically designed to cater to the needs of seniors; (Australian Pensioner Real Estate Group) to spending a period of time with AVJennings involved in the marketing and selling of land and townhouses during which time I received the award for number one salesperson for AVJennings S.A. Real estate is my passion and my promise to you is to work harder than any other so as to achieve the best possible outcome for you and your family. Lynette has been involved in real estate sales for 13 years and has lived and worked in the south for many years. She takes pleasure in providing excellent service to her clients, many of whom return again and again. 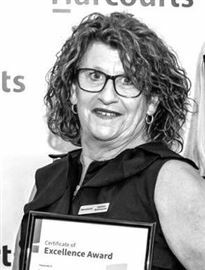 The majority of her work is from past clients, friends and referrals so she has sold properties in many areas across Adelaide from Wirrina Cove in the south to Mawson Lakes in the north, Athol Park in the west, and lots of places in between. However, most sales have been close to home, in the south. Lynette enjoys helping clients to fulfil their dreams and relieving the stress that many people experience when making the important decisions around buying and selling property. Her motto is Working together to achieve your goals. Rick has been our Sales Manager since 2003 and has lived locally for the past 27 years. During that time he has cultivated countless relationships and friendships through local business and sporting groups, especially the I.C.A. Indoor Sports Network. Hard work, superior personal service and achieving the best possible results for his clients, is recognised in the large number of personal referrals and repeat business he receives. Emma is passionate about her career in Property Management. With a background in reception & data entry, her associate role allows her to continuously develop her administrative skills, whilst assisting with inspections & providing support to our Business Development Manager. Emma knows the importance of building strong client relationships & will always strive to provide a superior level of service. If you own a rental property and are looking to maximise your return, or are a tenant looking for a new home, consider Property Management with Harcourts Morphett Vale & Christies Beach. With our industry leading systems and procedures and the philosophy of continuing innovation, our Property Management team have a wealth of experience & can ensure you are in the best hands. Communication is my philosophy and is a must between all parties to ensure that your property is managed to its highest standard and maintaining a successful partnership. Being contactable 24/7 is a must and after hours appointments are available to all clients. Management of your property needs to be handled with the utmost care and diligence, prior to selecting a Property Manager we would appreciate the opportunity to meet with you to discuss the advantages of having your investment property managed by Harcourts. My career commenced in 1989 and I have attained various Certificates and Awards. We recently achieved multiple awards at our Annual Awards night. We have listed our achievements Certificate of Excellence Award – No 3 Property Management Business Development Award Office 2012-2013. Property Management Business Development - No 1 Individual Award 2012-2013 Property Management Top % Growth Office of the Quarter Award – January to March 2013. Property Management Business Development Award Office - April – June 2013 Property Management Business Development Award - Individual July - Sept 2013 Property Management Business Development Award – Individual October – December 2013 Property Management #2 Business Development Award Individual 2013 - 2014 Property Management Business Development Award - Individual - April - June 2104 Property Management Business Development Award - Individual Jan - March 2015 Property Management Business Development #2 - Individual Award 2014 - 2015 Thank you for taking the time to read my profile. 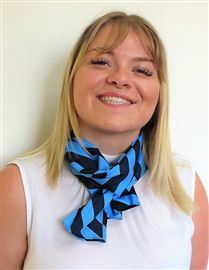 Nicole presents herself as a capable, empathetic & skilled member of the Harcourts team She has a fantastic rapport with our tenants through regular routine inspections & liaises directly with our landlords to ensure a high standard of presentation & care is provided to their properties. Nicole's main role is the organisation of routine inspections, assistance in ingoing & outgoing inspections & maintenance of our managed properties. Cara is a young, devoted, bubbly individual who’s excited to start her new life in Australia with her partner. Before starting her new journey in Australia June 2017 she worked in a GP surgery in the Alzheimer’s department doing administration for a year and a half. Along with this she was studying an extended diploma in applied science which she completed with excellent grades. For her future she hope to develop her career in property management and go above and beyond to be the best she can. Rebecca joined the team in 2013, bringing with her over 11 years of previous Real Estate experience & is passionate about the Harcourts brand & the values it has to offer. Her Real Estate career first began in 2002 as a 'first impressions' receptionist & continued on as a Personal Sales Assistant, covering all facets of 'behind the scenes' Real Estate including sales administration, client relations, appointment organisation & marketing - resulting in multiple awards along the way. 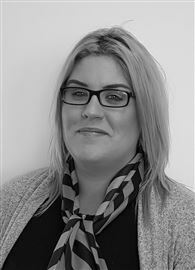 Rebecca's role as our business & trust account administrator involves maintaining both business & trust systems, payment management, liaising directly with clients & conveyancers, settlement preparation & finalisation, as well as providing the team with evolving HR support & ensuring a cohesive workplace. The Harcourts values - people first, doing the right thing, being courageous, fun & laughter!